Well, it’s late August here at the best self storage facility in Egg Harbor Township, New Jersey! I’ve been a manager here at The Storage Inn for quite some time. Today, in between storage rental customers, I got to thinking. Wow, it’s over 80 degrees outside, but by this time next month, it might only be in the mid fifties! 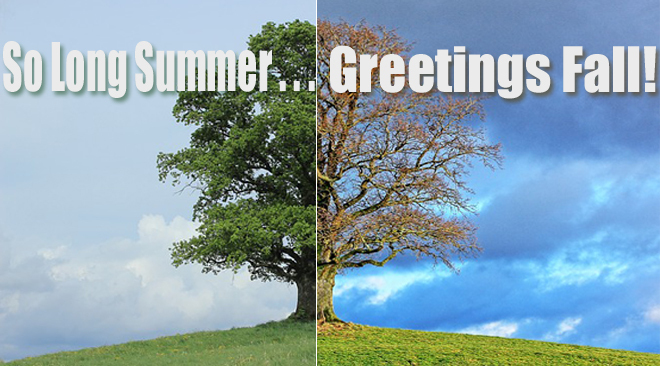 Before you know it, summer will be over and the cool, crisp feeling of fall will be upon us. With the end of summer so near, I figured it would be a good idea to share a few end of the summer season storage tips! August is when the summer heat and humidity are at their peak. If your items have been in storage all summer long, get in there and check out the condition of your items. This is an important step to take when the seasons change. Everyone knows the saying, “Out of sight, out of mind.” And this is often the case when using a storage unit. If you haven’t visited in awhile, it’s easy to forget what you have tucked away. 1. Fall is the time to replace your container of Damp-Check. This will help keep the moisture levels inside your storage unit as low as possible and help prevent mold or mildew. 2. Check the condition of your cardboard storage boxes. Often times people gather free boxes from area stores that aren’t in the best shape for long term storage. If your boxes are falling apart you may need to purchase new ones. Our office store is fully stocked with packing and moving supplies. 3. Make sure your lock is in good shape. Clean it and apply some oil. If it’s rusted or in disrepair you may want to replace it. Locks can be purchased at our rental office store. Beach Chairs in, Leaf Rakes out! Pool side furniture and accessories along with all your summer gear are commonly tucked away into storage by a lot of folks this time of year. Take the time to clean your items before putting them into your unit. You might also want to move your lawnmower and other yard equipment or tools into storage to free up extra space in the garage. But just remember, if you’re storing any power equipment – drain the gas, oil and other flammable liquids out of them. 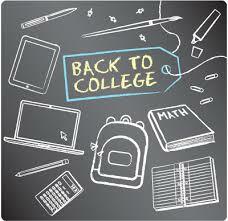 For parents of college students, self storage is a great option for packing away your student’s extra belongings. Turn that bedroom into an office or an in-home gym! When they come home between semesters, their belongings are a quick storage trip away. You might also consider renting from a self storage facility close to campus to keep bulkier items close by, like a bicycle or a kayak. Dorms, in general, are small spaces that are often shared among two or three students with just enough space for the essentials. Ask about our College discount – We love students here at The Storage Inn! 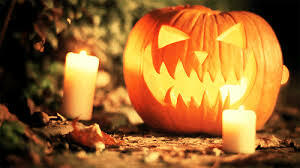 While you’re putting away your summer items, don’t forget to pull out your Halloween decorations! That talking skull with the red, light-up eyes is not going to do you any good sitting in a box in your storage space! While you’re at it, grab the Thanksgiving decorations too. Make sure the holiday lights, wrapping paper, Christmas tree and other decorations are moved closer to your unit door; that way you can easily swap out the fall décor for the winter stuff after Thanksgiving. There you have it folks, a couple quick and easy storage tips for end of summer storage. So whether you already rent a storage unit or you’re looking to rent extra space, now is the perfect time of year to do it! Here at The Storage Inn in Egg Harbor Township New Jersey, most of our storage units are filled with things like beds, refrigerators, boxes, and totes, but every once in awhile we hear about something very interesting being found inside one of our storage spaces. This past weekend the family of one of our longtime self storage customers began going through the items in a unit that belonged to their grandfather. “Grandad” had passed away some time ago, and they were just getting around to sorting through the contents. About midway through the day, I stopped by the storage unit to see how they were making out. I spoke to the man’s granddaughter, Peggy, who showed me a large envelope that appeared to be quite old. Written on the outside of the envelope were the words “ The Real Lone Ranger”. Inside was a picture of a man, and a document signed by someone named Bass Reeves. They both appeared to be from the Civil War era, but neither of us knew who Bass Reeves was, so we did what any red-blooded American would do, and asked Google! Here is what we discovered…. Contrary to what classic westerns might have us believe, one in four American cowboys was actually African-American. It turns out that the true inspiration behind The Lone Ranger (and possibly Django from Django Unchained) may have been real life US Deputy Marshal Bass Reeves, an African-American who fled the Civil War, befriended the Seminole and Creek Indians, and eventually became one of the greatest lawmen of the Wild West. 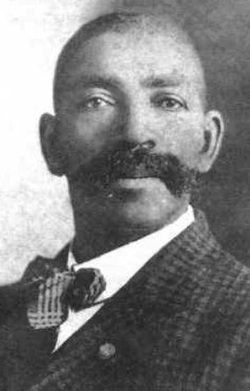 Bass Reeves was born a slave in 1838. When the Civil War broke out, Reeves went into battle with his master and fought for the Confederacy. 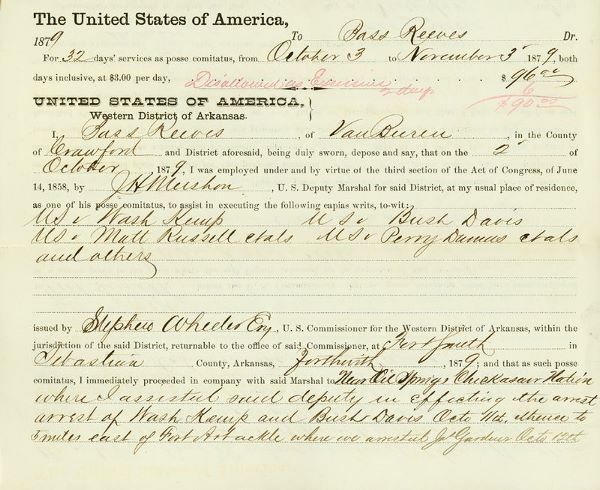 It was during the Civil War that Reeves made his great escape from slavery. Reeves took refuge with the Creek and Seminole Indians. He learned their languages and customs, and sharpened his skills as an ambidextrous marksman. During the chaos of the Civil War, Indian Territory became the hiding grounds for outlaws. In 1875, U.S. Marshal James F. Fagan was ordered to lead 200 deputies in the pursuit of these outlaws. The stories of Reeves’ familiarity with the land and his own fugitive past got around to Fagan, and Reeves was soon hired on as a U.S. Deputy Marshal. Reeves, along with the other deputies, was ordered to bring the outlaws back — dead or alive. Reeves took his job as a marshal very seriously. Six feet, two inches tall, the slender Reeves rode a large white stallion as he patrolled all 75,000 square miles of Indian Territory. The rough and tough lawman, with his intimidating black hat, two colt .45 Peacemakers strapped at his sides, slick suits, and polished shoes, brought over 3,000 felons to justice – far more than Wyatt Earp or Bill Hickok. By all accounts, Reeves was also a master of disguise. He would appear to felons as a cowboy, farmer, or even an outlaw (wearing a mask). And when he wasn’t in disguise, he was easily recognized by the silver dollars he left as his calling card. Reeves was also known to have traveled with a native American who helped him track outlaws. Despite disguises and calling cards, Reeves treated his position with great respect. Even in the face of morally conflicting circumstances, Reeves held the law above all – He once arrested and jailed his own Son for murder. In 1907, law enforcement was put in the hands of state agencies and Reeves, now nearly 70, joined the Muskogee Oklahoma Police Department as a patrolman. However, shortly after, on January 12, 1910, Bass Reeves passed away due to Bright’s disease. There you have it – the story of a man who many consider to be the inspiration for the fictional character The Lone Ranger. I don’t know if the picture or the document are worth anything, but it sure made for an interesting day at The Storage Inn. 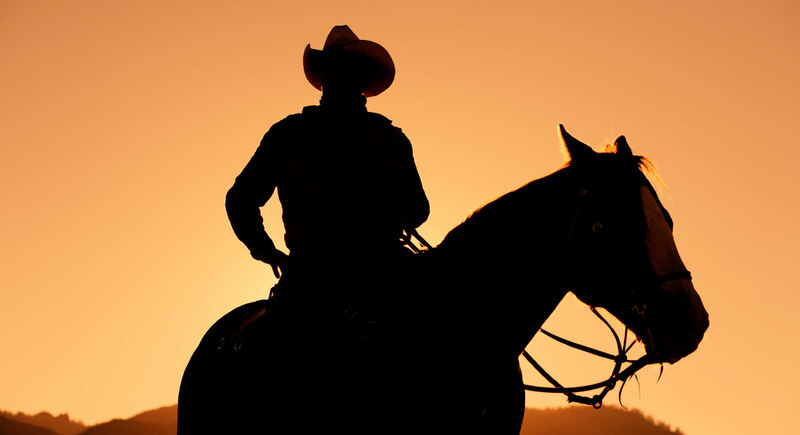 Well, I gotta go – it’s time for me to ride off into the sunset – now if I only had a horse! The Storage Inn team investigates the origins of popular sayings! 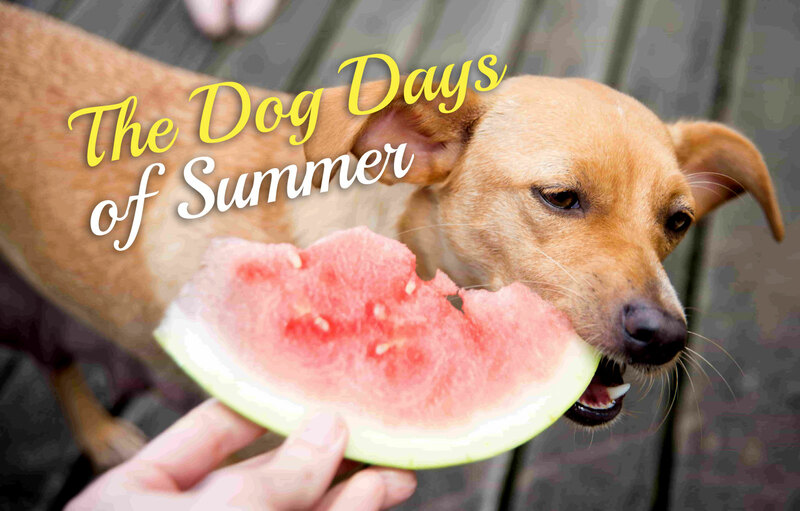 So, the “Dog Days of Summer” are officially upon us here at The Storage Inn in Egg Harbor Township New Jersey. It’s been extremely hot and humid as we head out of July and into August. The “Dog Days of Summer” thing was brought up to me by one of our storage space customers who also happens to be into astrology. I always assumed that this saying referred to the weather being so hot that even the family dog did not want to move out of his resting spot. 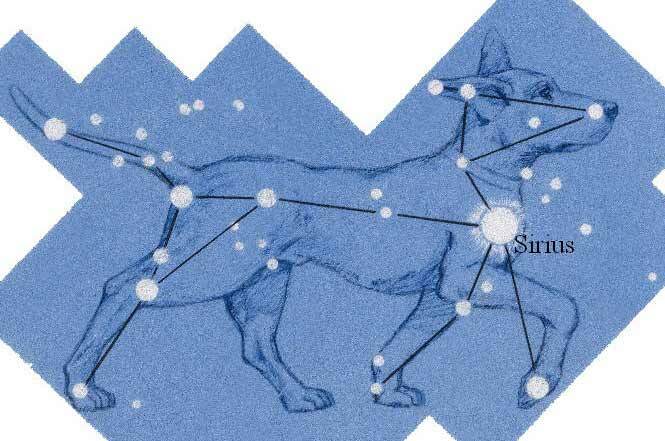 But, Cindy, our astrological self storage client, informed me that the “dog days of summer” are the hot, sultry days of summer that coincide with the heliacal rising of the star Sirius (also known as the dog star) from late July to late August. This got me to thinking about all of the sayings that we use, but probably have no idea where they came from. So being the detective that I am, I decided to investigate a few popular sayings. History: There was no time to administer anesthesia before emergency surgery during battle. The surgeon made patients bite down on a bullet in an attempt to distract them from the pain. History: Before the days of trains or cars, port cities that thrived on trade suffered during the winter because frozen rivers prevented commercial ships from entering the city. Small ships known as “icebreakers” would rescue the icebound ships by breaking the ice and creating a path for them to follow. Before any type of business arrangement today, it is now customary to “break the ice” before beginning a project. History: An ancient Indian custom involved throwing balls of clarified butter at statues of the gods to seek favor. History: This saying originated because of a law. If someone butchered an animal that didn’t belong to him, he had to be caught with the animal’s blood on his hands to be convicted. Being caught with freshly cut meat did not make the person guilty. History: Although giving someone the cold shoulder today is considered rude, it was actually regarded as a polite gesture in medieval England. After a feast, the host would let his guests know it was time to leave by giving them a cold piece of meat from the shoulder of beef, mutton, or pork. History: People believed that during withdrawal, the skin of drug addicts became translucent, hard to the touch, and covered with goose bumps – like the skin of a plucked turkey. History: When a cow was killed at a slaughterhouse, a bucket was placed under it while it was positioned on a pulley. Sometimes the animal’s legs would kick during the adjustment of the rope and it would literally kick the bucket before being killed. History: New England chicken farmers generally sold chickens in the spring, so the chickens born in the springtime yielded better earnings than the chickens that survived the winter. Sometimes, farmers tried to sell old birds for the price of a new spring chicken. Clever buyers complained that the fowl was “no spring chicken,” and the term came to represent anyone past their prime. History: Legend has it that 17th century English Judge Sir Francis Buller ruled it was permissible for a husband to beat his wife with a stick, given that the stick was no wider than his thumb. 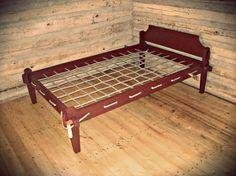 History: During Shakespeare’s time, mattresses were secured on bed frames by ropes. In order to make the bed firmer, one had to pull the ropes to tighten the mattress. So in conclusion, let me Break The Ice by inviting you to visit The Storage Inn for all of your self storage and packing needs. We promise not to give you The Cold Shoulder, and may even Butter You Up a bit – and if you rent from us, you’ll be able to Sleep Tight, knowing that all of your items are safe & secure! !